Planning the holidays can cause two emotions: absolute joy or complete stress! Whether you are hosting dinner or opening your home to out-of-town guests, don’t let this joyous season get the best of you. We’ve gathered our top eight tips on preparing your home (and saving your sanity!) for the holidays! Fill your home with a little holiday cheer by hanging a festive wreath on the door, lighting seasonal candles, and putting up the tree. Decorating doesn’t have to be an expensive task, there are plenty of quick and easy DIY projects to create one-of-a-kind décor. Take a peek on Pinterest for a little holiday inspiration! If you are hosting guests in your home this holiday season, remember to tidy the areas where they will be staying, pull out extra towels and linens, and freshen up the guest room with magazines, a plant, tissues, or even a little chocolate candy on their pillow. These simple amenities will be sure to make guests feel like they have a comfortable place to stay. Clear all walkways and porch areas so they are free of snow and ice to ensure there are no slips. If you have exceptionally wintry weather, it’s best to have salt on hand. Be sure to also check that all outdoor lighting is functioning properly. Set a little basket of essentials in the bathroom with toiletries your holiday visitors may need. Include perfume, lotion, a lint roller, travel sized shampoo and conditioner… You get the idea! This is usually a chore that ranks low on the list of priorities with all the other work to be done this season. Where will you find the time? Dedicate at least an hour to focus on your main cleaning duties! Vacuum, dust, clean the bathrooms, whatever you need to do —this is your hour to accomplish it. If finding an hour is hard, try setting aside 15 minutes each work day to focus on tidying just one room. This way it isn’t overwhelming but each room gets a spruce. Bonus: If you have little ones, include them by assigning simple tasks they can help with! 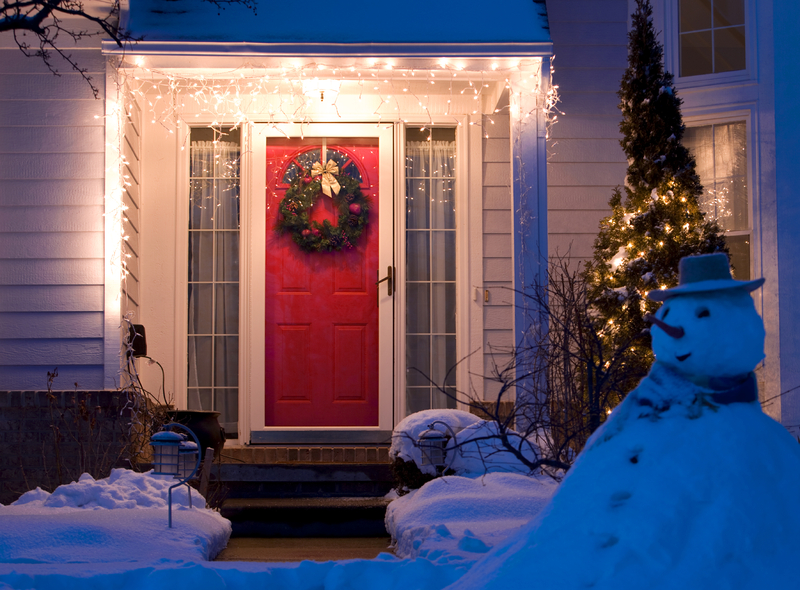 If you will be going out of town for the holidays, make sure your home is protected to avoid any break-ins. Set an automatic light timer in multiple rooms to make your home seem lived in, double check your entryway and window locks, and be cautious of what you post online. Try to stay away from the “I’m going on vacation” post to social media, and post your vacation pictures once you have returned home. If you have a trusted neighbor, it is a good idea to have them keep an eye on your home during your travels. Take time to deliver a homemade pie or Christmas cookies when dropping off your spare key, we guarantee they will appreciate it! 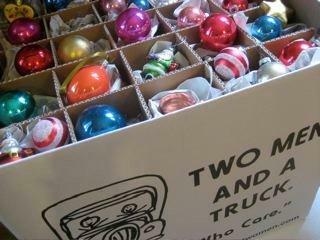 Whether you’re trying to organize the garage or store away those holiday decorations, TWO MEN AND A TRUCK® has a variety of boxes tailored to your needs. Pick up a wardrobe box to fill with old coats and donate to your local shelter or grab a small box to easily transport the desserts you’ve baked to family Christmas. Whatever it is, we’ve got you covered! Finally, turn on those beloved holiday songs! After all, nothing says, “it’s the most wonderful time of the year” better than the song itself!